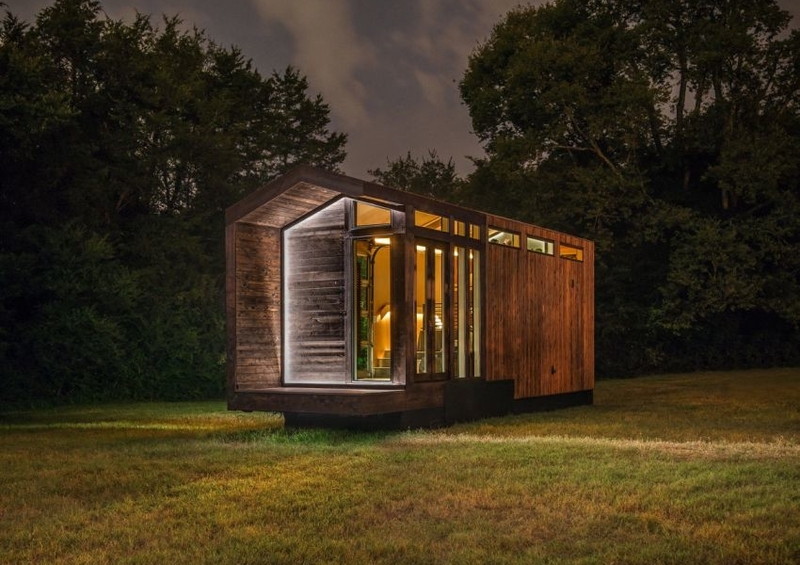 Nashville–based New Frontier Homes recently completed the Orchid tiny house featuring a contemporary gable farmhouse design and custom valance lighting to mimic a solar eclipse. 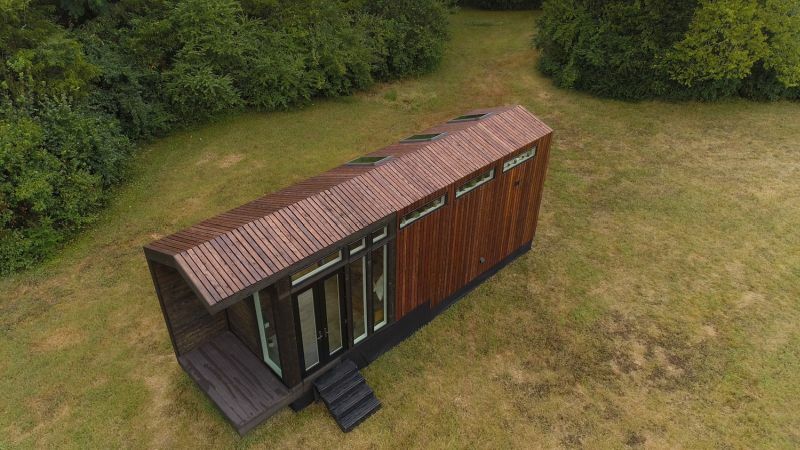 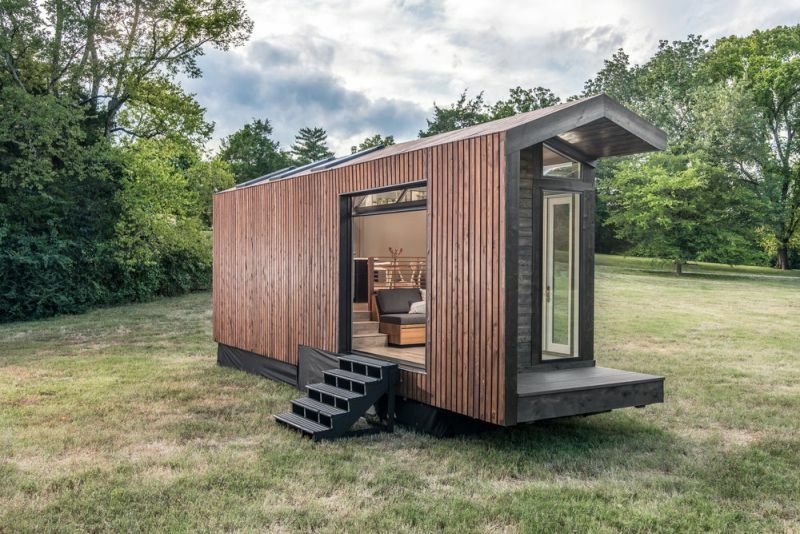 This 290-square-foot tiny home boasts a unique wooden interior and exterior. 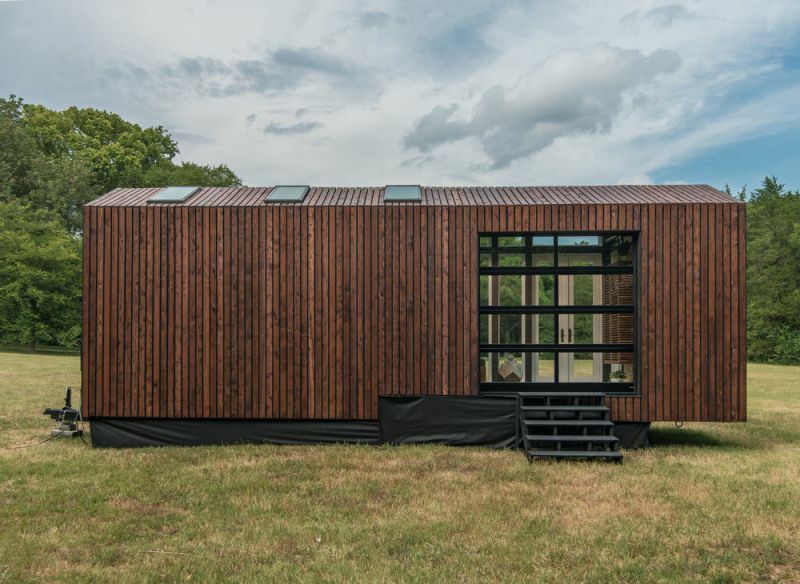 It is packed with solar panels to enjoy benefits of off-grid living. 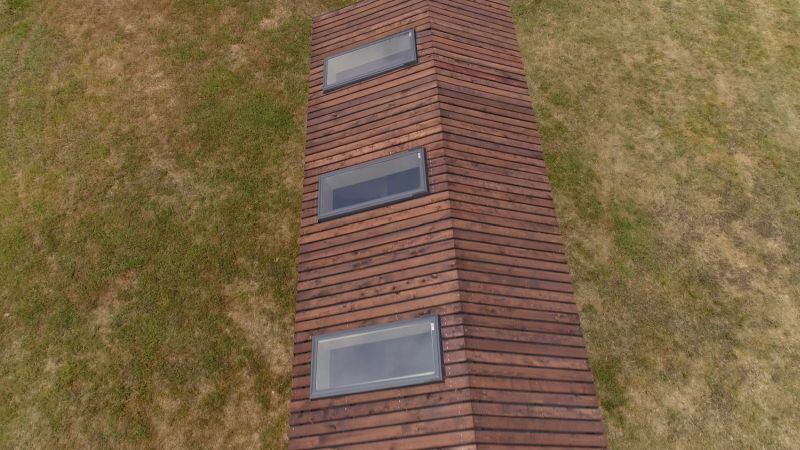 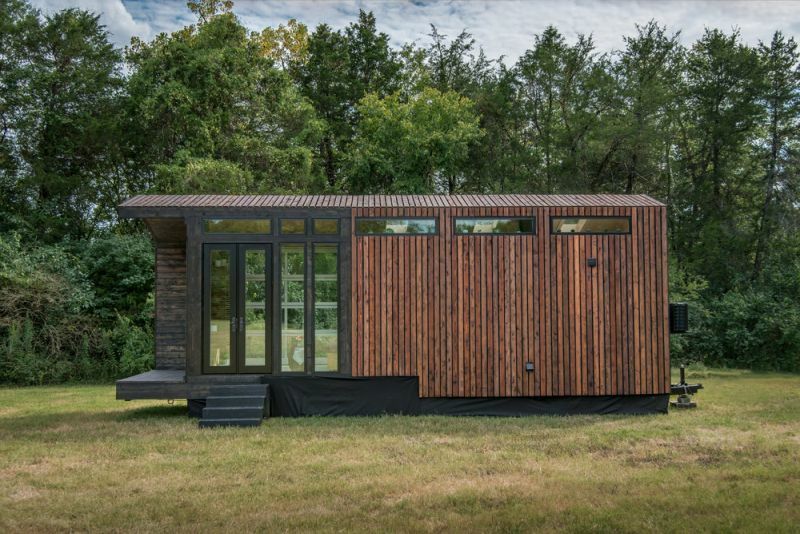 Its exterior siding features cedar boards that are spaced and carried over onto the roof for a unique bold look. 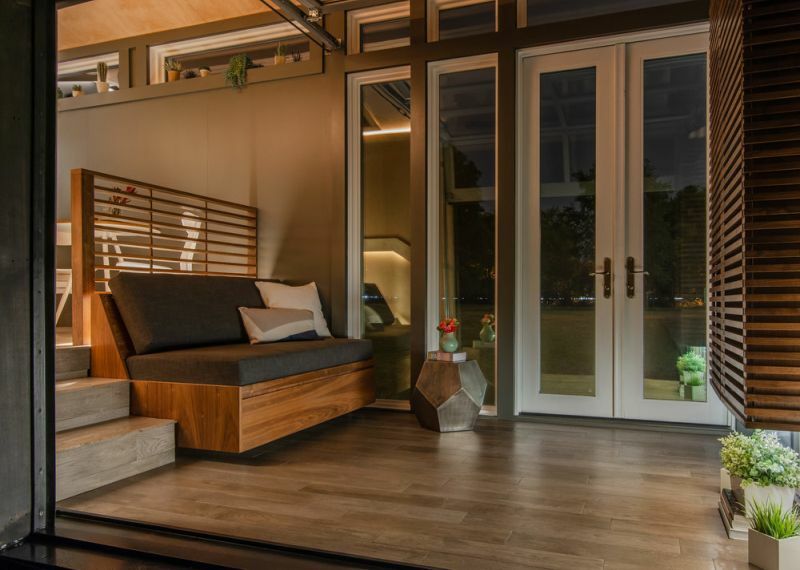 On the other hand, interior walls are made of maple plywood with gray accents, offering a warm, modern look. 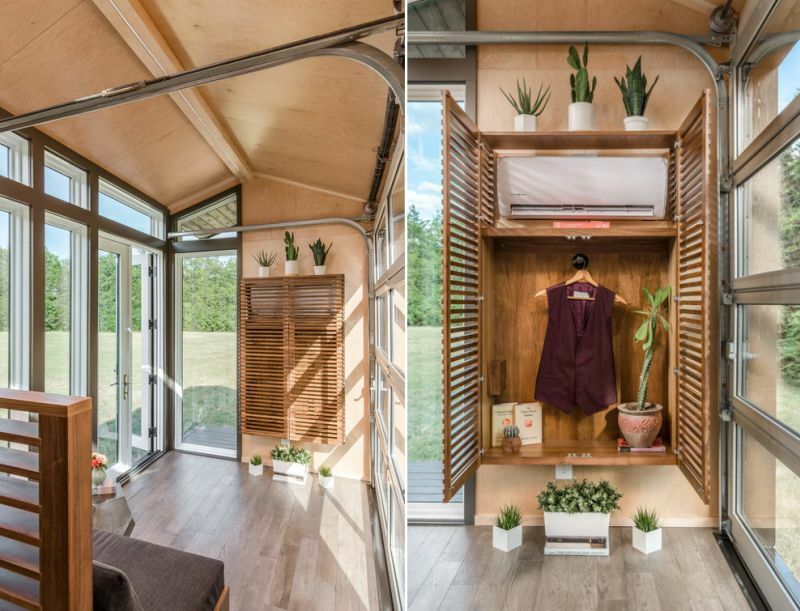 Floor plan, with kitchen in the middle of the tiny home, offers a flexible lifestyle. 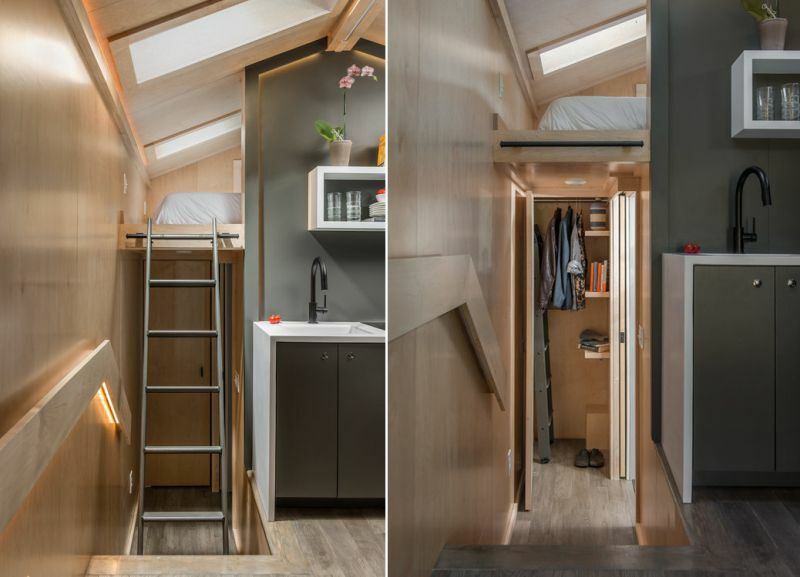 All the living spaces share the same floor, except the loft king-sized bedroom with skylights. 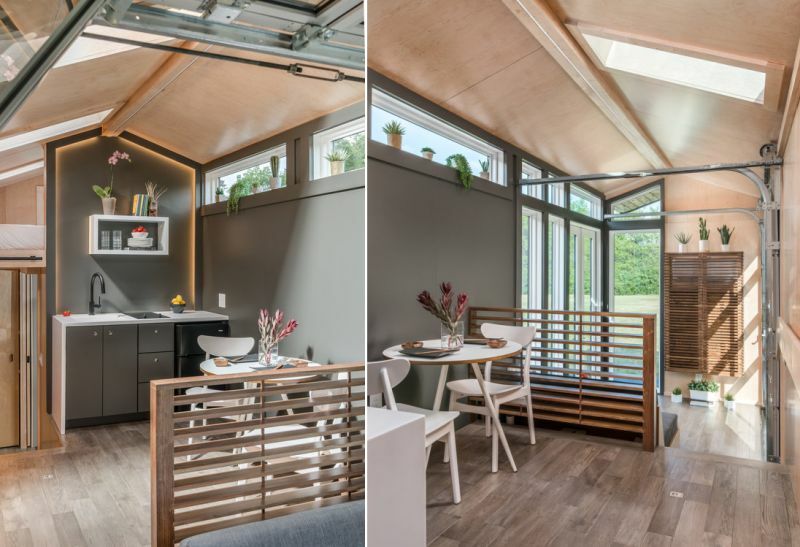 The kitchen comes complete with a dining table, a stove, a sink, a fridge and cabinetry for storage. 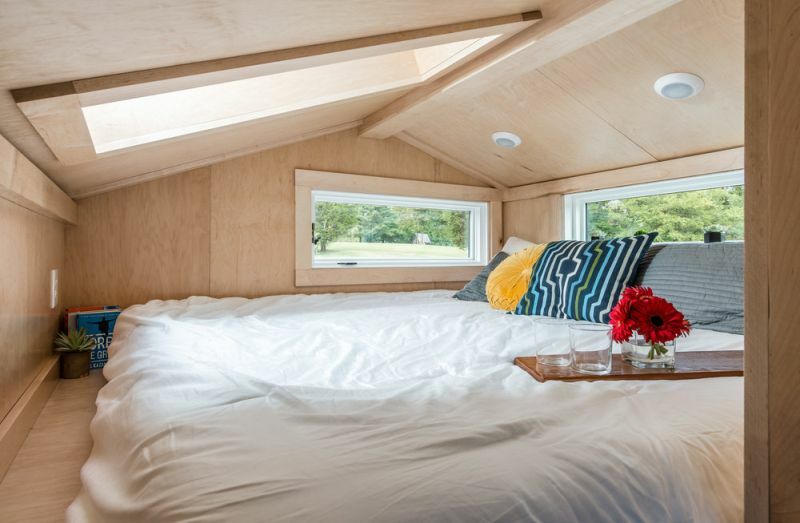 As a bonus feature, sofa in the living room can also be turned into an additional bed for guests. 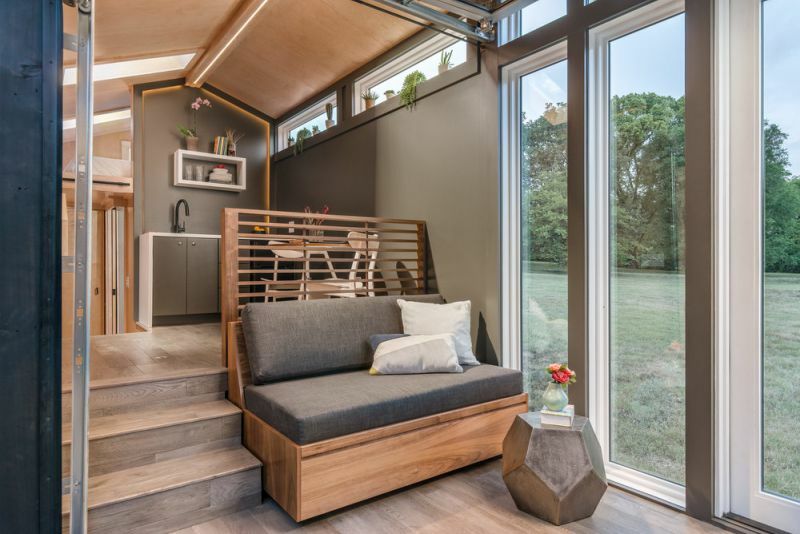 Covered porch and fold up floor-to-ceiling glass door are some of the other attractions of this tiny house. 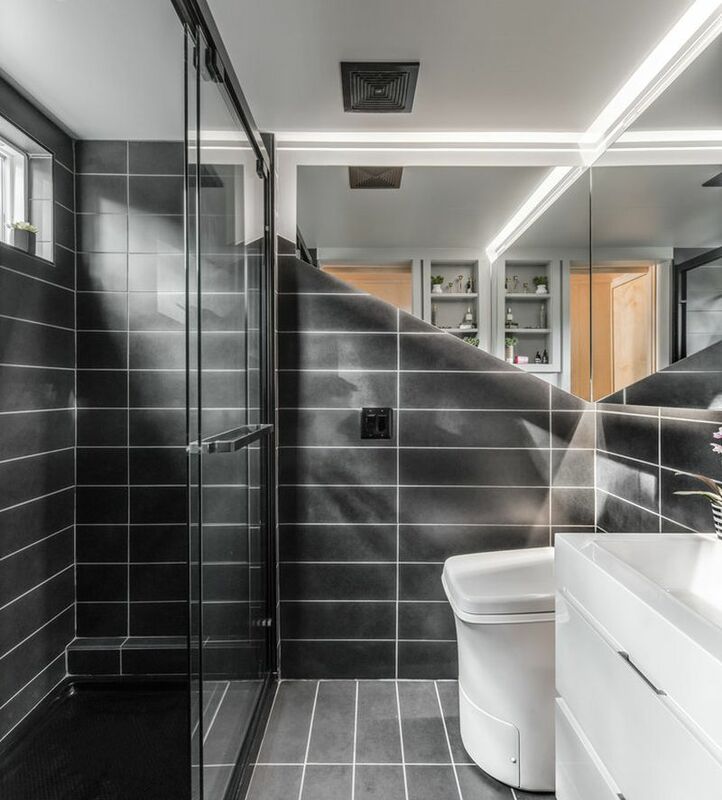 Orchid’s bathroom has a floating mirror with valance LED lighting. 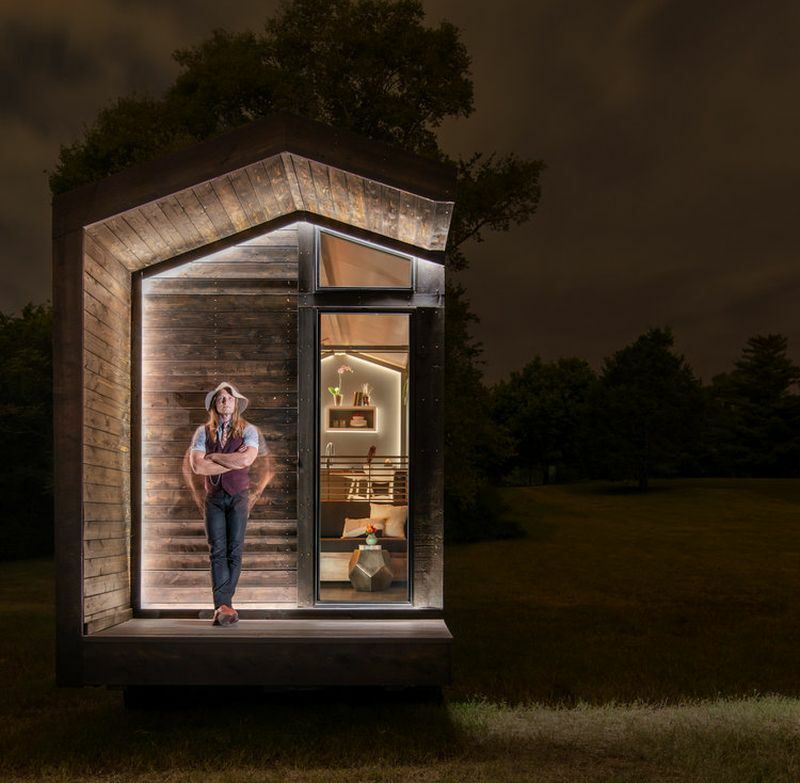 A Cinderella incinerator toilet, a full-size shower and floating vanity sink make the bathroom both functional and luxurious. 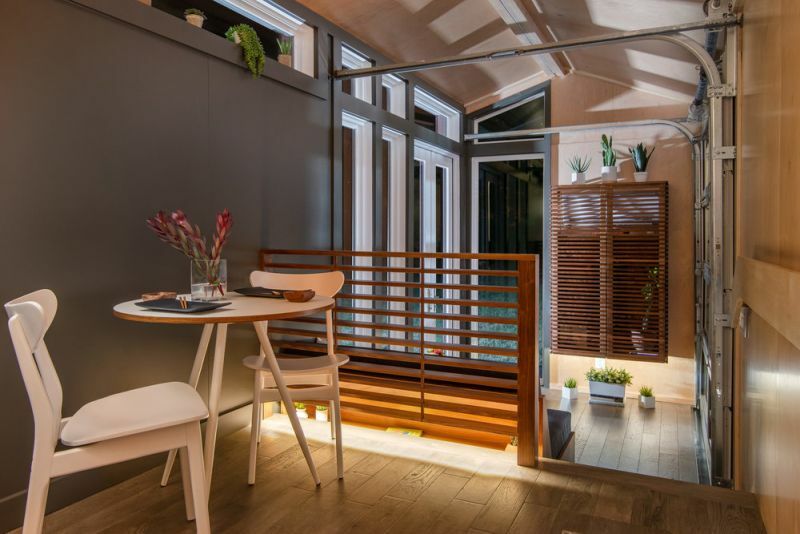 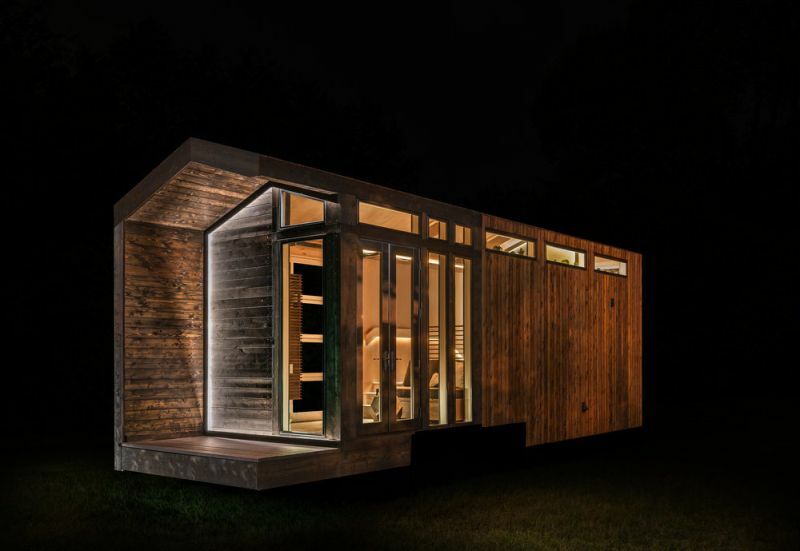 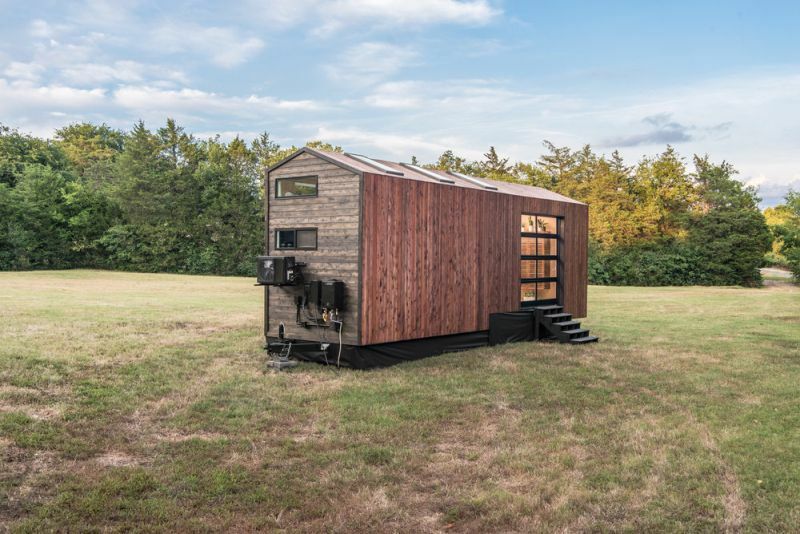 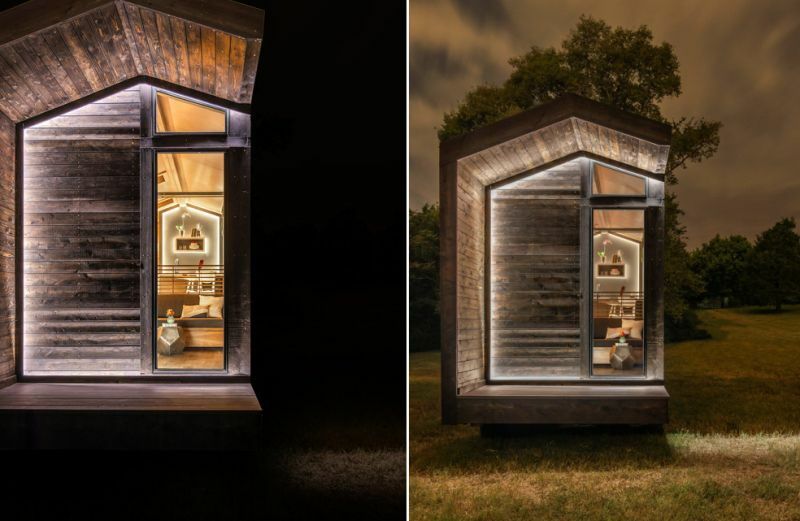 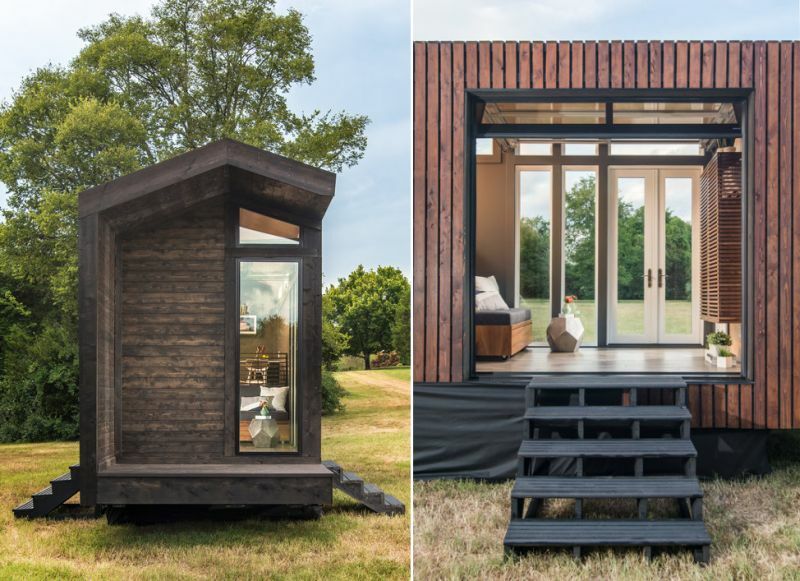 The tiny house builder has included all the comforts of a modern home, but what makes Orchid tiny house different from others is its beautiful exteriors and built-in lights. 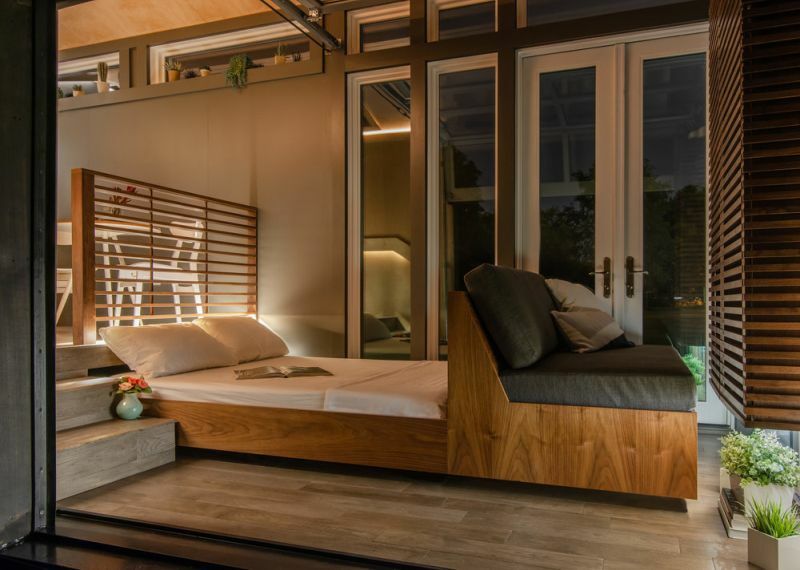 Whether it’s the bathroom or the front deck, valance lighting is included everywhere in the house to achieve an amazing visual effect at night. 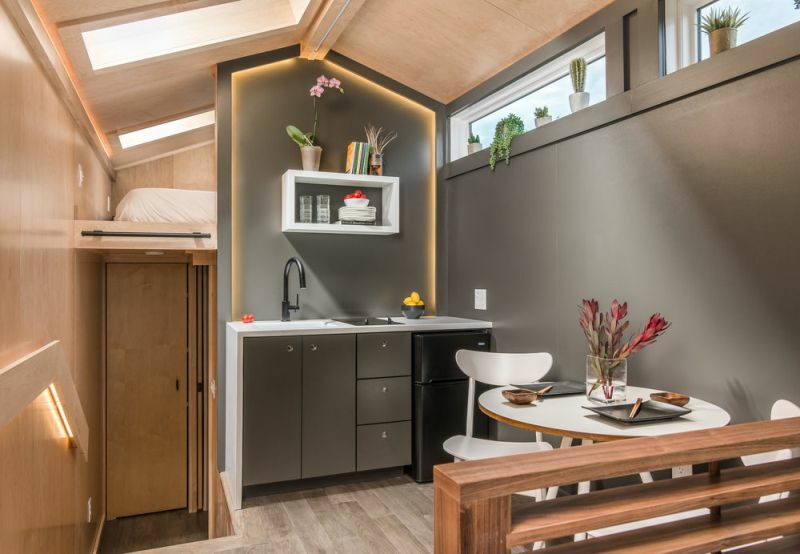 Orchid tiny house is not currently available for purchase, but there are other micro homes available along with a custom house option. 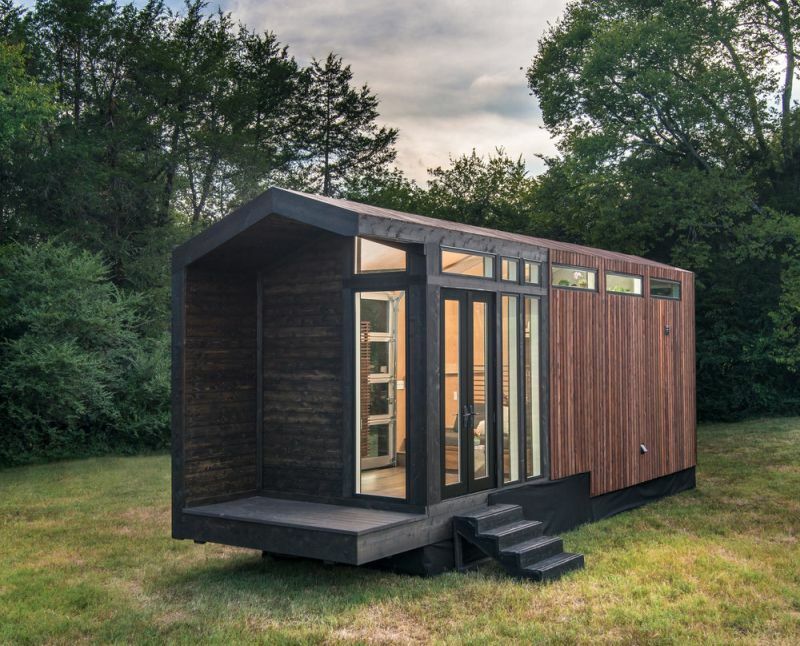 If you’re interested, you can get in touch with New Frontier Tiny Homes for a quote.